Books that teach children about their rights and the obligations and privileges of living in a democratic country. The next time you go to the polls to vote, bring your child or grandchild with you to establish a tradition of civic responsibility. Studies show that the more children go to the polls with their parents the more likely they are to vote when they turn 18. Civics is rarely taught in schools anymore and the majority of states no longer require students to take even one semester in American government. Most students are appallingly uninformed about American history. The survival of democracy is at stake. Here is a suggested reading list for children. 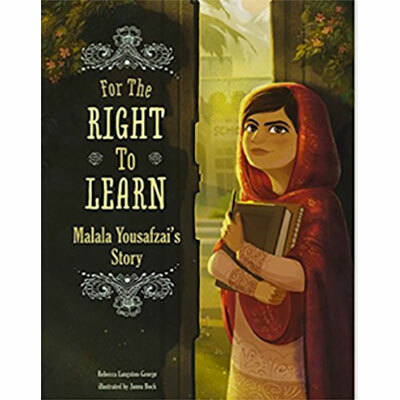 For the Right to Learn by Rebecca Langston-George, illustrated by Janna Bock is the story of Malala Yousafzai, a young Pakistani girl whose father believed girls should be entitled to the same education as the boys. Malala loved school but the Taliban, who controlled her area, didn’t want girls to go to school. Malala was shot for daring to defy the Taliban’s ban on education for girls. She and her family moved to the United States where she is attending school. Appropriate for ages 8 – 11. 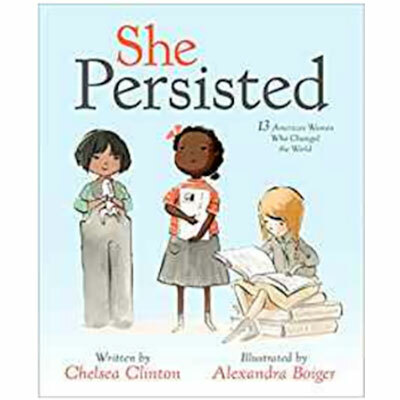 She Persisted: 13 American Women Who Changed the World by Chelsea Clinton, illustrated by Alexandra Boiger introduces young readers to thirteen inspirational women who “persisted”. A few of the thirteen are Harriet Tubman, Sonia Sotomayor and Helen Keller. Appropriate for ages 5 – 9. 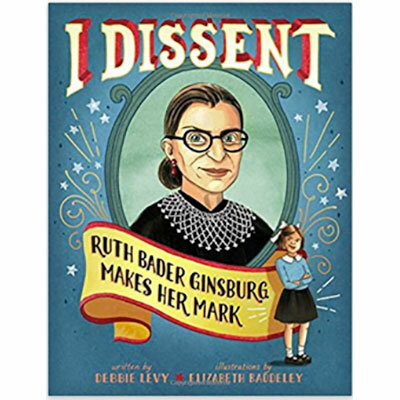 I Dissent: Ruth Bader Ginsburg Makes Her Mark by Debbie Levy, illustrated by Elizabeth Baddeley is a picture book biography of Ruth Bader Ginsburg. Readers learn how she fought against unfairness and progressed from her career in the law to the Supreme Court. “Disagreeable? No. Determined? Yes.” Appropriate for ages 4 – 10. 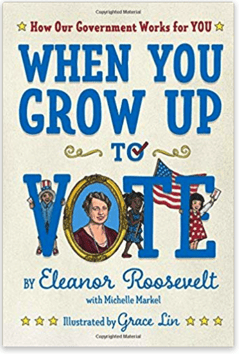 When You Grow Up To Vote by Eleanor Roosevelt is a book on citizenship for future voters. It was originally written in 1932, the year her husband was first elected President. This just released new edition has updated illustrations by Grace Lin. Appropriate for ages 6 – 12. 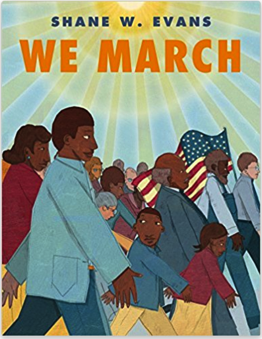 We March by Shane W. Evans tells the story of the 1963 march in Washington where Martin Luther King, Jr. delivered his famous “I have a dream” speech about racial harmony. This book brings that remarkable event to the very youngest readers. Appropriate for ages 4 – 8.